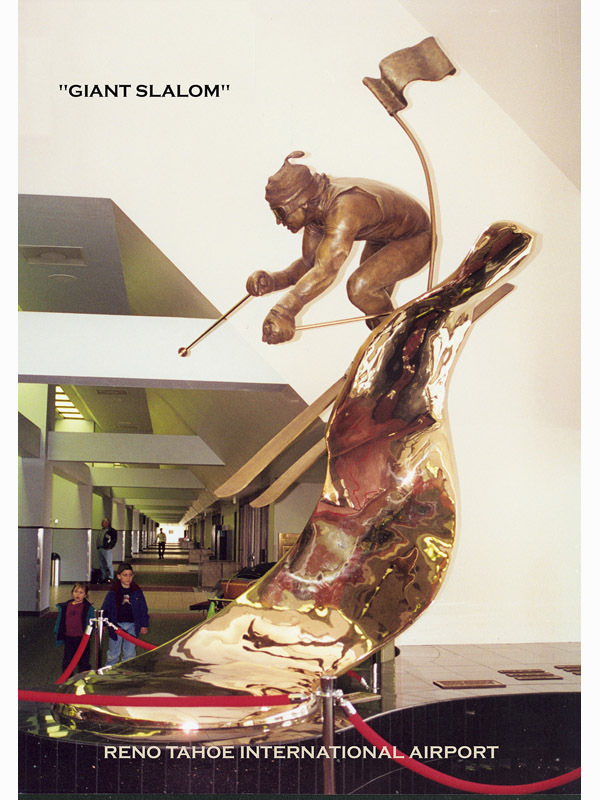 This monument Slalom Skier was originally created as a scholarship project for the University of Nevada Ski Teams. The monument has a permanent home in the lobby of the Reno Tahoe International Airport. This entry was posted in AllPosts, People. Bookmark the permalink.